In her first novel, The Sugar House, Jean Scheffler takes her readers on an exciting tour of Detroit from 1915 until the 1930s through the eyes of Joe Jopolowski, the son of recent Polish immigrants. 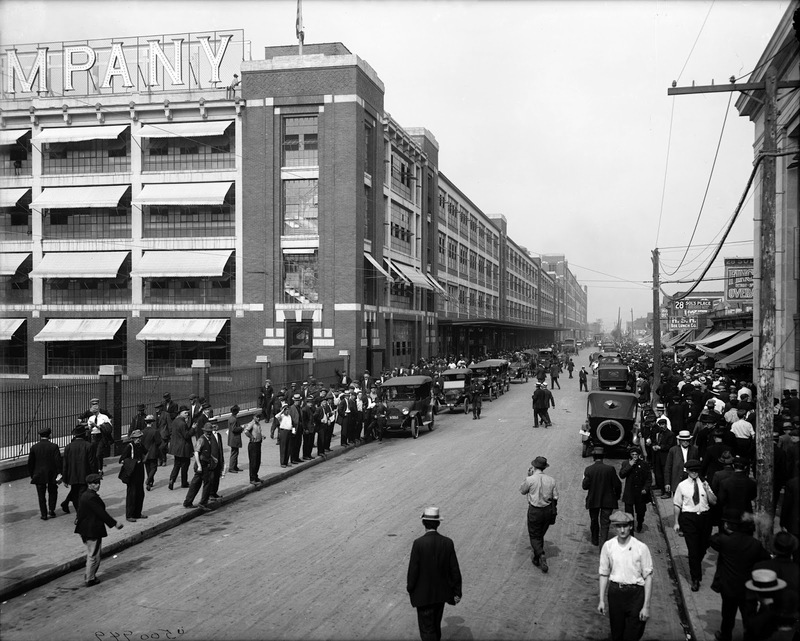 The story shows 1915 Detroit as a city busting at the seams due to growth spurred by money from the automobile industry and an influx of European immigrants and southern Blacks. 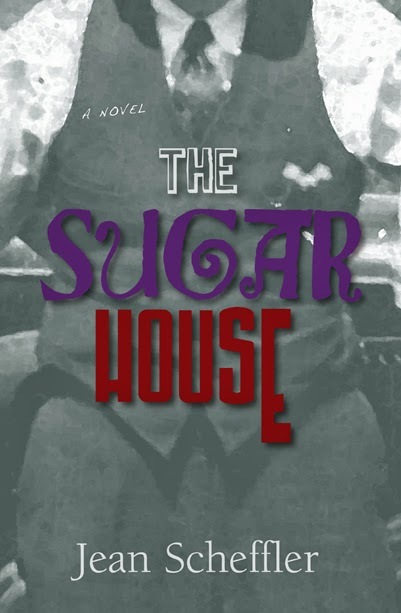 The Sugar House is a must-read for anyone who is interested in Detroit’s history or anyone who wants a thrilling tale of a young man trying to remain morally strong in the face of a corrupt world. Detroit area native Scheffler clearly did her research, and the reader is rewarded with characters that feel real and a view of Detroit's past that is not easy to find. For a Q&A with Jean Scheffler in which she talks about her research, writing process, and her grandfather who inspired her novel, click here. Growing up as a Polish-American kid in the Detroit area, there were things I assumed were the norm throughout America: 1) Polish surnames with multiple consonants in a row, whether they ended in "ski" or not; 2) kielbasa at every family gathering; and 3) Paczki Day. After leaving the Midwest, I saw Polish names less often; ate less kielbasa; and realized that most East Coasters sadly have no idea what paczki are. What's Paczki Day? Well, it's known as Fat Tuesday or Mardis Gras everywhere else. Traditionally, Fat Tuesday is the last day before Ash Wednesday when Lent's fasting begins, so Polish tradition called for one last hurrah of eating bad things before Lent began. In Poland, they actually eat paczki on the Thursday before Ash Wednesday, but Polish immigrants to the U.S. often baked and ate the treats on Fat Tuesday, making the holiday also known as Paczki Day in heavily Polish regions like Detroit and Chicago. In Detroit and especially its neighboring city of Hamtramck, it has become the Polish equivalent of St. Patrick's Day. So what's a paczki? Technically, "pączki" is the plural of "pączek," but most Americans just call it a paczki. Paczki are a deep-fried dough ball glazed or powdered with sugar, often served with a jelly filling. They are kind of like jelly donuts, but they are far superior. Authentic paczki have dough made with eggs and have a lighter texture similar to brioche or challah bread. How do you pronounce paczki? Since Polish letters are not always pronounced in similar ways to English or Romance languages, the answer might not be intuitive to native English speakers. I'm not sure if it's the result of different Polish dialects or Americans butchering the Polish language, but I've heard three primary pronunciations in the U.S.: 1) Poanch-key; 2) Poonch-Key; and 3) Punch-key. I interchange "poanch-key" and "poonch-key." This year, I decided that it had been too long since I had a paczki, so I did some research and found three possible sources in the D.C. area: 1) Giant Supermarkets; 2) the Kosciuszko Foundation's Center near Dupont Circle; and 3) the Kielbasa Factory in Rockville, MD. Hollywood movie makers again will be coming to Michigan to film a new movie starring Bryan Cranston and Naomi Watts. "Holland, Michigan" is scheduled to be filmed in Holland and is currently in pre-production. The Grand Rapids Business Journal describes the film as a Hitchcock-like thriller set during the tulip festival. Huffington Post Detroit features eight women who epitomize the energy of Detroit's resurgence. The article highlights an artist-musician, a blight buster, a music teacher, and more women who give back to the city in different ways. Quiniece Henry, a 13-year-old at Forrest Hills Middle School, recently passed away from Burkitt lymphoma. Her classmates, teachers, and friends remembered her as a young girl who wanted to help others, so they decided to honor her by helping the homeless. MLive reports that a Girl Scout troop and the school's student council organized a jeans drive to collect jeans for Grand Rapids-area homeless. The drive collected 151 pairs of jeans, despite bad weather shortening the week of the drive.